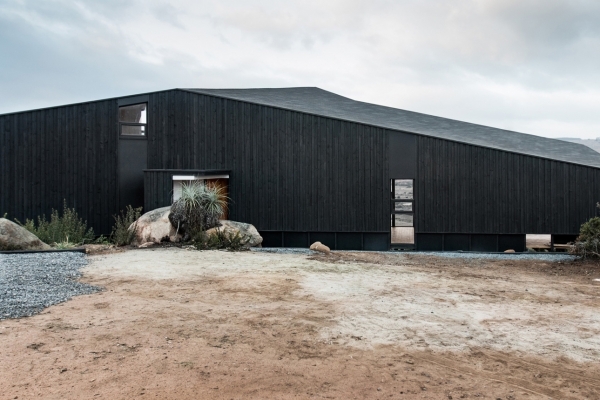 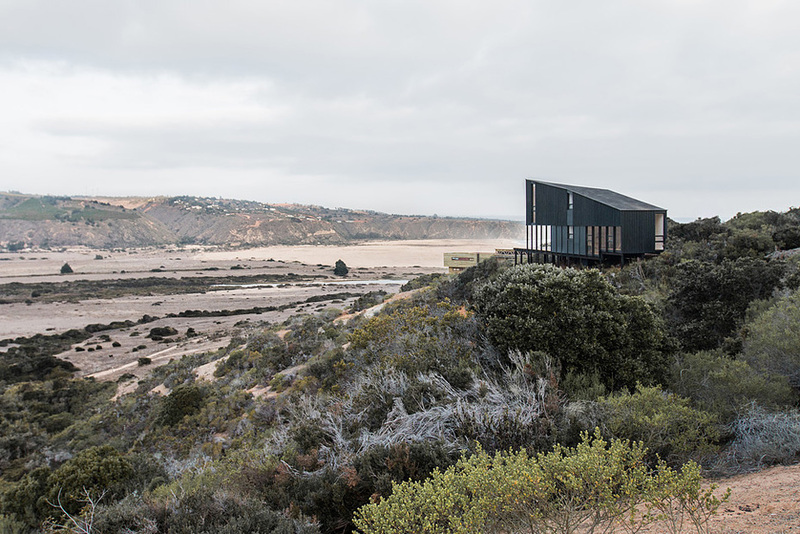 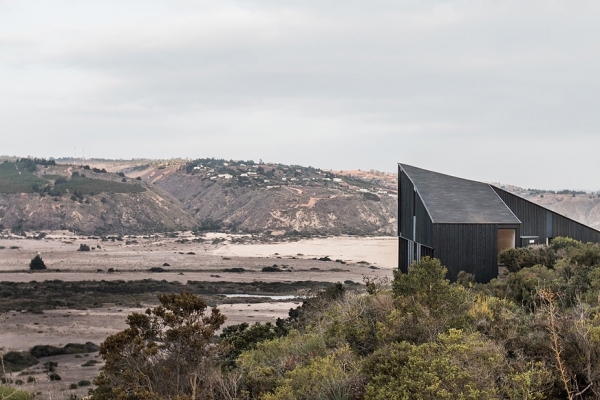 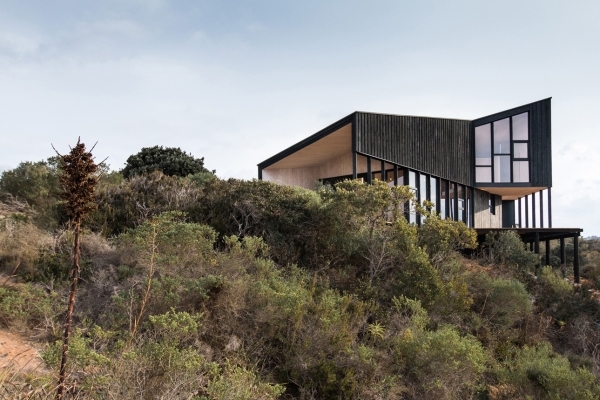 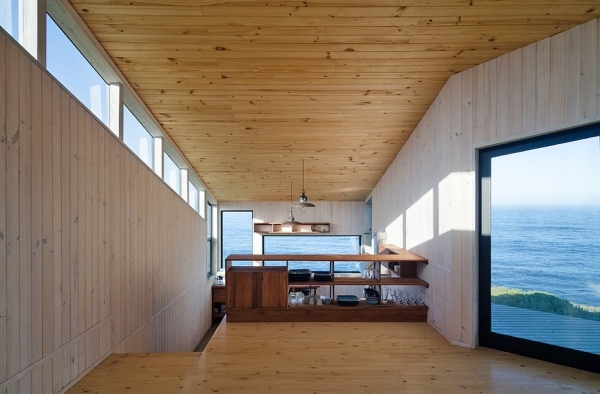 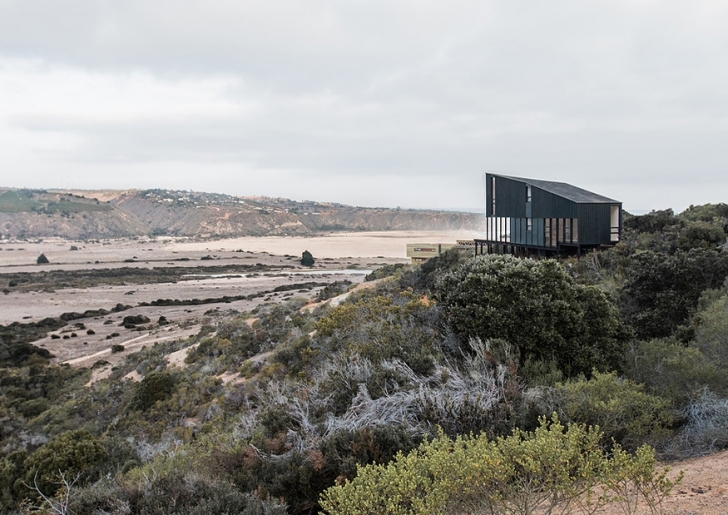 Located in an area with an intricate topography that is 35 m and 11 m from the edge, Capilla Chile is a geometric slope house overlooking a landscape where the boxed estuary opens to the Tunquén wetland, before merging with the main beach and the Pacific Ocean. 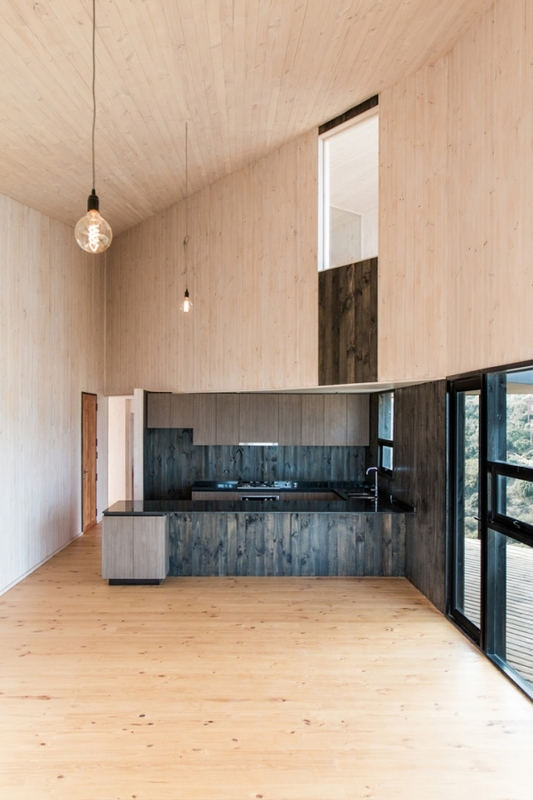 The main plan is a simple beach house, with 3 bedrooms, 2 bathrooms and an open space for living room, dining room and kitchen; plus 2 terraces, one indoor and one exposed. 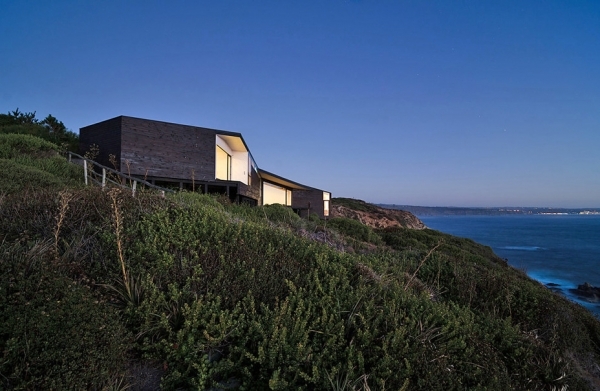 The scheme is built in two volumes that are intersected and overlapped. 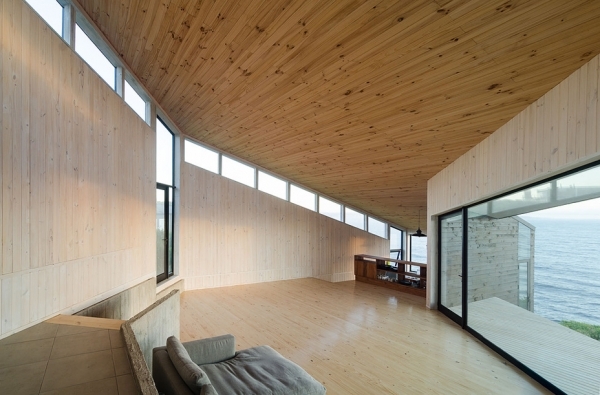 The floor layout reflects the turning point of the concave topography in relation to the landscape.